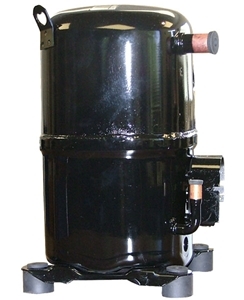 3 1/4 ton; 460 Volts; 3 Phase; R-22 Reciprocating Compressor. Technical Specifications: 3 1/4 Horsepower; 460 Voltage; 3-Phase; 42,500 Btu/H; R-22. Used in Bryant; Carrier; Day & Night; Payne Models: 48TJD008600; 48TJD008610; 48TJD008910; 48TJE008600; 48TJE008610; 48TJF008600; 48TJF008610; 50TJ008610; 50TJ008910; 50TJ008600; 50TJ008900; 558DZX090000JA; 558DEX090000AB; 558DEX090000AA; 580DEV090125AB; 580DEV090180AB; 580DEV090220AB; 580DEV090224AB; 580DEV090125AA; 580DEV090180AA; 580DEV090220AA. Used in Rheem; Ruud Models: AS-04972-01; AS-04982-01; AS-05119-01; AS-05128-01; AS-06233-01; AS-07132-01; AS-07133-01; AS-04956-01; AS-04958-01; RAKA-042DAS; RAKA042DAS; RAKA-042NAS; RAKA042NAS; RAKA-048DAS; RAKA048DAS; RAKA-048VAS; RAKA048VAS; RAKB-048DAS; RAKB048DAS; RPKA-042DAS; RPKA042DAS; RPKA-042DAZ; RPKA042DAZ; RPKA-042NAS; RPKA042NAS; UAKA-042DAS; UAKA042DAS; UAKA-042NAS; UAKA042NAS; UPKA-042NAS; UPKA042NAS; UAKA-048DAS; UAKA048DAS; UAKA-048VAS; UAKA048VAS; UAKB-048DAS; UAKB048DAS; UPKA-042DAS; UPKA042DAS; UPKA-042DAZ; UPKA042DAZ.